2 995,00 € Tax incl. 2 495,83 € Tax excl. 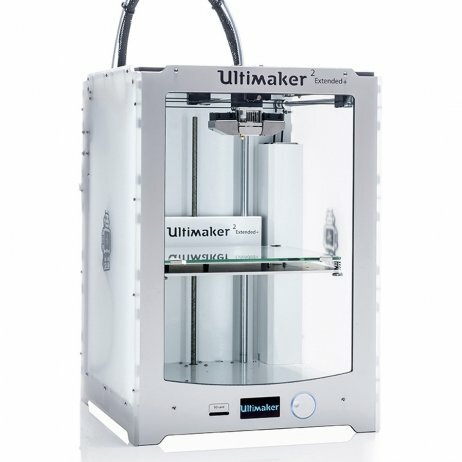 Bigger still, the Ultimaker 2 Extended+ has a built-in SD card reader for greater autonomy (no more need to connect to a PC) and an LCD screen for easy reading and for configuring your settings while printing. 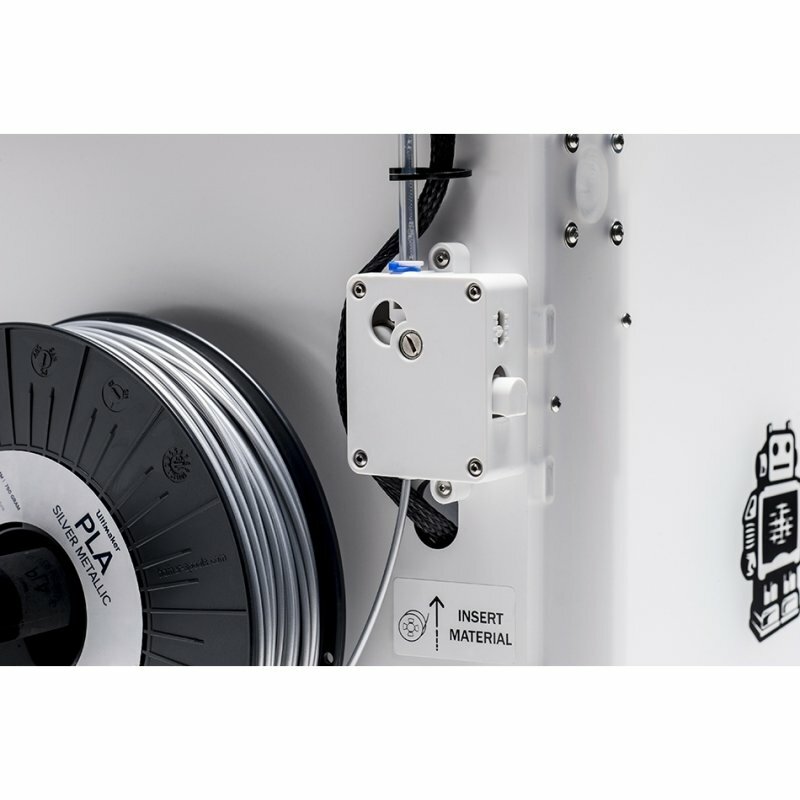 Performance-wise, this 3D printer lets you print objects in the finest detail thanks to a layer thickness of just 0.02 millimetres (20 microns), the highest resolution available on the market, with unmatched surface finish on your 3D prints. As for speed, the Ultimaker 2 breaks the record once again with a maximum speed of 300mm/s, keeping an XL size for the biggest projects. 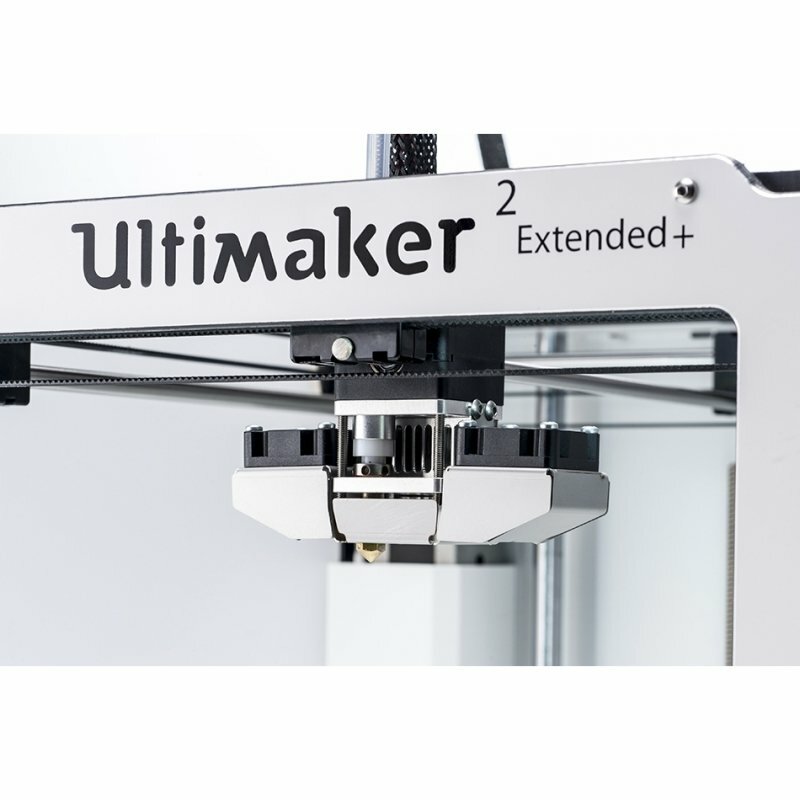 Extended in every sense of the word, the Ultimaker 2 Extended+ gives you all the space you need to print larger, more complex objects. With its breathtaking speed, reliability and a definition of 20 microns, 3D prints made on the Extended+ meet all expectations. 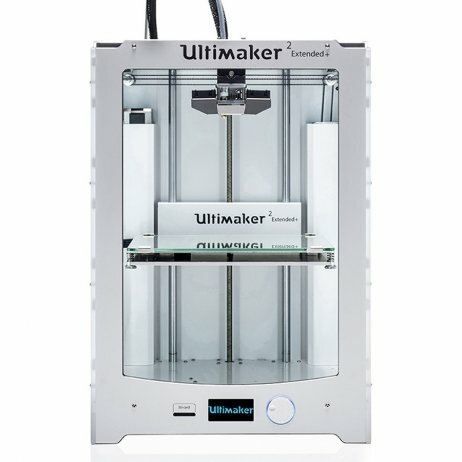 Transfer the STL file to your Ultimaker 2 Extended+ 3D printer and print! At 30 cm high, the Ultimaker 2 Extended+ pushes the boundaries of 3D printing, and even the biggest prototypes can be printed with the assurance of flawless reliability. 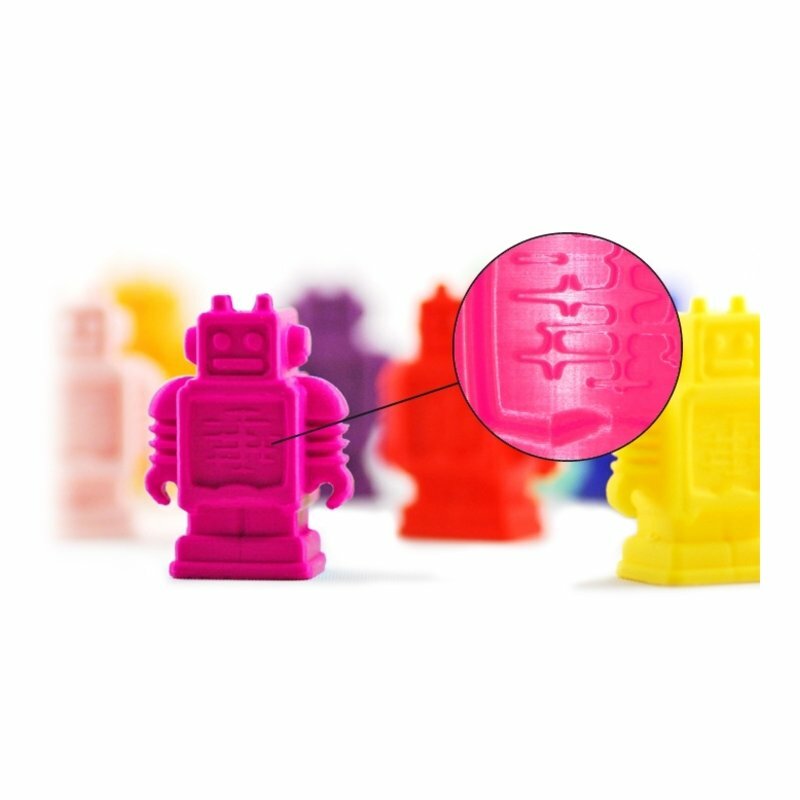 The Cura software is intuitive, quickly and intelligently preparing the model for printing. The very light printing head limits vibrations for lasting precision while printing. Overhangs and bridges are easy to print thanks to the dual fan print head. The Ultimaker Extended+ 3D printer’s wheel lets you set many different parameters, even during printing. Open Source, the Ultimaker 2 Extended+ 3D printer prints all types of 2.85mm and 3mm filaments. 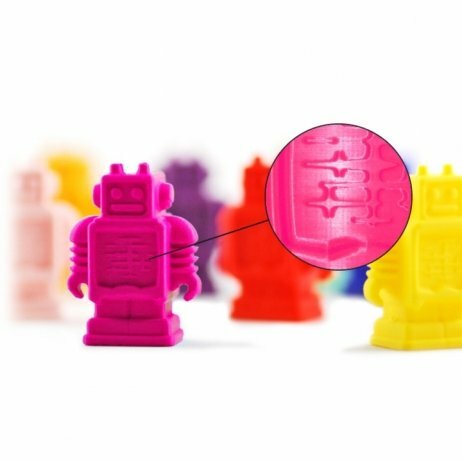 The nozzle can heat up to 260°C, allowing it to print PLA, ABS, Nylon, PET, Flexible, Composite metal and lots of other materials simply by following the appropriate settings for each filament. 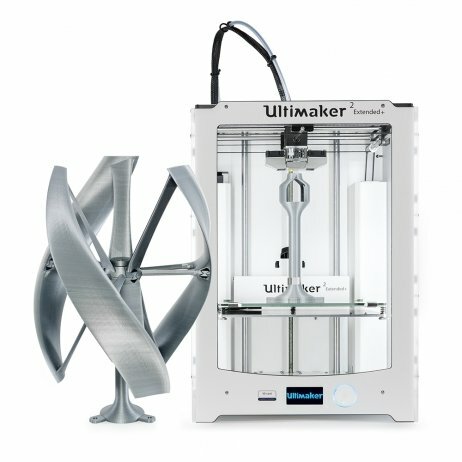 The Ultimaker community is the most active in the world, made up of experts who are always ready to offer 3D printing advice and useful tips, with a large platform of resources for all levels. Some updates, ideas and key products have been designed out of this brand community, and in particular through the discussion forum. Cura has been designed to get the most out of the Ultimaker 2 Extended+ printer. And vice versa. Born out of the Open Source collaboration, software and machine create a unique 3D printing experience that’s stable and reliable. This innovative software brings 3D printing within everyone’s reach. For beginners, it does everything for you, and for experts, there’s a world of advanced settings so you can continue to take your printing further.